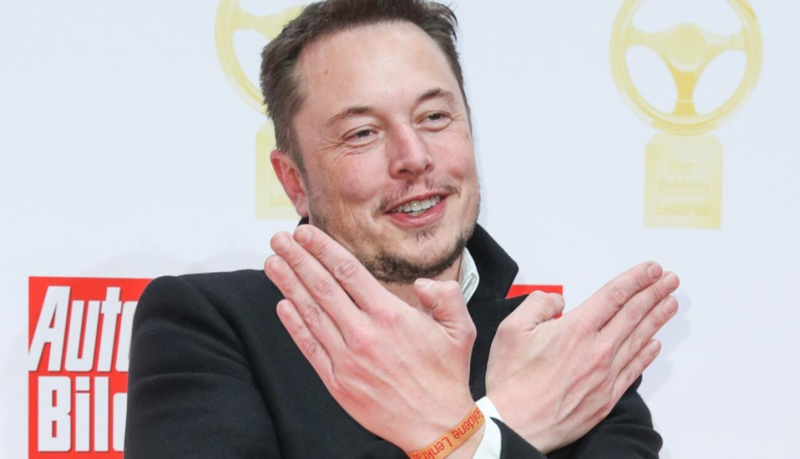 Elon Musk, CEO of $50 billion Tesla, obtained the anonymous identity of Seeking Alpha writer and Twitter user by the name of Montana Skeptic for the sole purpose of threatening, intimidating, and retaliating against him for writing negative truthful information about Tesla ( TSLA). Elon Musk called the employer of Montana Skeptic. Yep, a CEO of a billion-dollar company sought out one Twitter user to quash a “critic.” Nope, nothing to see here SEC or DOJ, nothing at all. 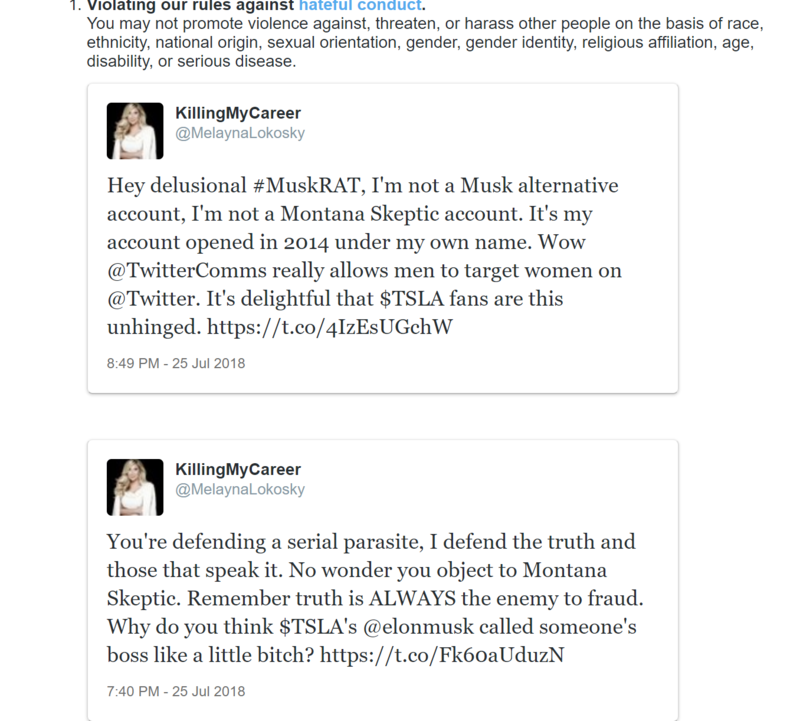 Montana Skeptic’s decision to leave Twitter was not because he’s do anything wrong, but because he chose to speak out against the red flags at Tesla; and, can’t afford to fight billion-dollar Musk. No one can afford that fight and it’s why the media must fight for the First Amendment. After this tweet on July 27, 2018, I was reported to Twitter for Tweets written on July 25, 2018. As a federally recognized whistleblower, during in the criminal portion of the DOJ’s case the First Amendment was weaponized. The two, now, federally convicted executives from Johnson & Johnson’s Acclarent, tried to hide their criminal activity behind the First Amendment. Criminal activity is NOT protected by the First Amendment, anymore than negative truthful information is NOT defamation or hate speech. 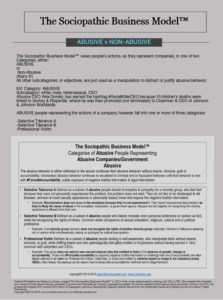 Abusive people engaged in illegal activity do not want their negative truthful information exposed; and, often threaten defamation lawsuits, or in a recent case against me, file a defamation lawsuit but never properly serve me as a means to unethically and illegally gain ownership of my whistleblower website. Russ Ruffino of Clients on Demand falsely used logos in his online advertising and was not happy I exposed the negative truthful information. Knowing he’d never win a defamation lawsuit, he and his Arizona Attorney, Dan Warner of Kelly Warner Law, pathologically engaged in unethical & illegal activity which resulted in the temporary ownership of my website. Criminals are abusively manipulating & weaponizing the First Amendment to silence whistleblowers. While working on my case, the FBI taught me not to believe in coincidences. Negative truthful information is not hate speech nor is it defamation. Elon Musk and Twitter’s attack on the First Amendment is a dangerous trend. It is really weird that the two tweets (out of over 46,000+ possible) question mention the combination of Montana Skeptic, Telsa and or Elon Musk. I was put in #TwitterTimeOut, twice in over 46,000 tweets since 2014. Both times defending against targeted harassment and misogyny from Twitter users. The idea that I even tagged Twitter and Twitter Comms in one of the Tweets demonstrating harassment & misogyny, which I was forced to remove, is not lost on me. Twitter encourages abusive behavior allowing it to be replicated and rewarded. And those speaking the truth, get silenced. Hey, I’m starting to see a trend…. Disclaimer: The information in this article is not legal, medical, or financial advice. Author has no financial ties to Tesla or any Elon Musk company. 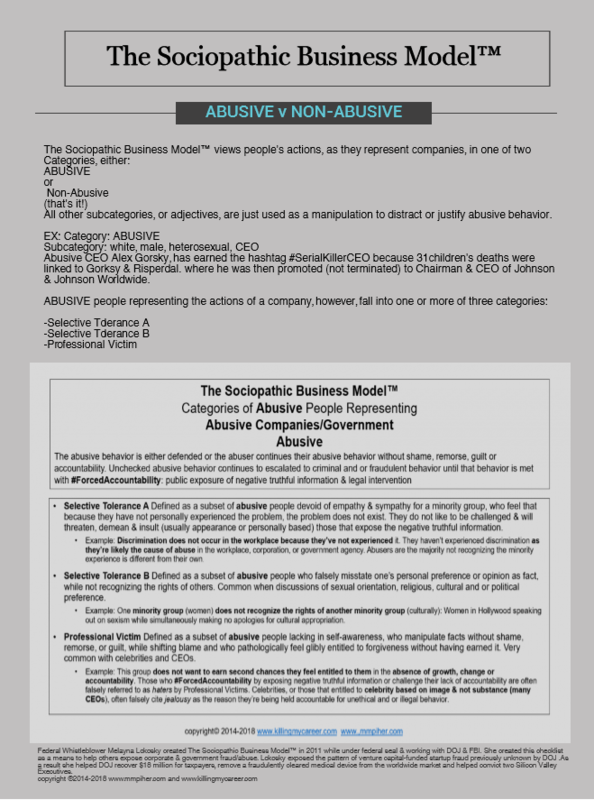 The goal of this article is to show patterns in abusive behavior that are often linked to The Fraud Formula found in The Sociopathic Business Model™. 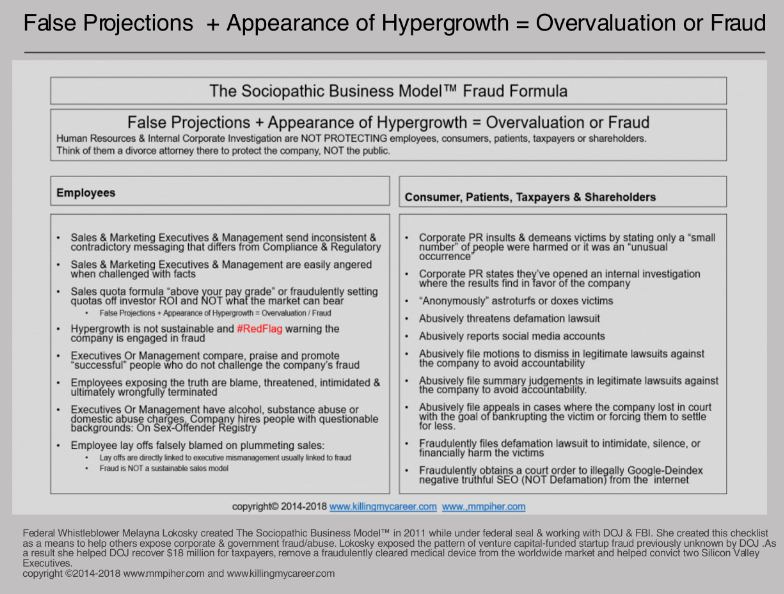 If we can predict fraud, we can prevent fraud. This is an ongoing Case Study and will be updated frequently. Telsa ($TSLA) CEO Elon Musk has long been viewed on this site as one of the Silicon Valley’s #GodsOfFrauds whose ego can eclipse the sun. Musk, is doing little as of late, to distance himself as an ego-driven, lacking in self-awareness, Professional Victim, all across the internet but specifically on Twitter. Professional Victim under The Sociopathic Business Model™ is defined as a subset of abusive people lacking in self-awareness, who manipulate facts without shame, remorse, or guilt, while shifting blame and who pathologically feel glibly entitled to forgiveness without having earned it. Very common with celebrities and CEOs. Example: This group does not want to earn second chances they feel entitled to them in the absence of growth, change or accountability. Those who #ForcedAccountability by exposing negative truthful information or challenge their lack of accountability are often falsely referred to as haters by Professional Victims. 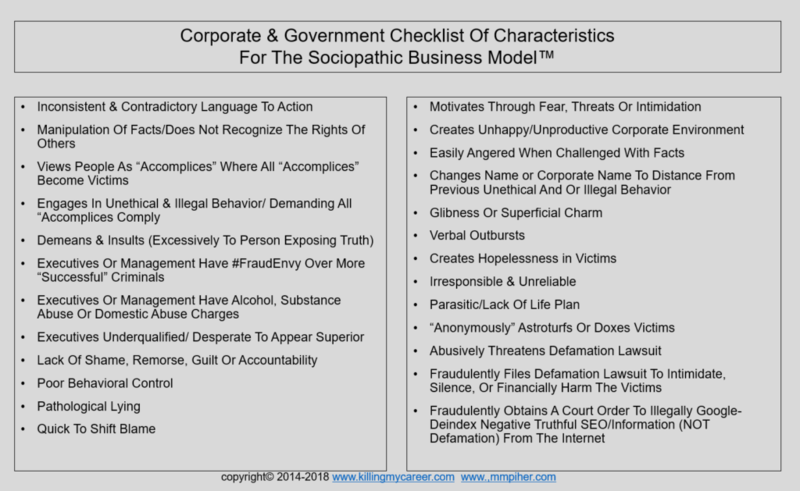 Celebrities, or those entitled to celebrity based on image & not substance (many CEOs), often falsely cite jealousy as the reason they’re being held accountable for unethical and or illegal behavior. Musk’s recent Twitter behavior isn’t shocking, it’s predictable. While Musk’s recent Tweets, may seem un-executive-like, frequent readers of the site and those familiar with The Sociopathic Business Model™ will recognize the tactics being used and why. Musk’s unraveling can be traced to then Tesla employee, Martin Tripp, who leaked negative truthful information that if unknown could potentially cause harm to employees, consumers and the public. -Musk views all employees as “accomplices” until they become “victims”. All accomplices eventually become victims, it’s not a matter of if, it’s when. -Musk manipulated facts without recognizing the rights of employees, consumers, and the public. Tesla then made an unsubstantiated claim that Tripp, was going to “shoot up,’ the factory. -Tesla & Musk’s “shoot up” statement, is inconsistent & contradictory with the goals of self-proclaimed whistleblower, who put public safety over his own job security and actual security. Sounds very sketchy if true. @lopezlinette, is it possible you’re serving as an inside trading source for one of Tesla’s biggest short-sellers? An ex-Tesla employee just went on record formally claiming you bribed him & he sent you valuable Tesla IP in exchange. Is this true?